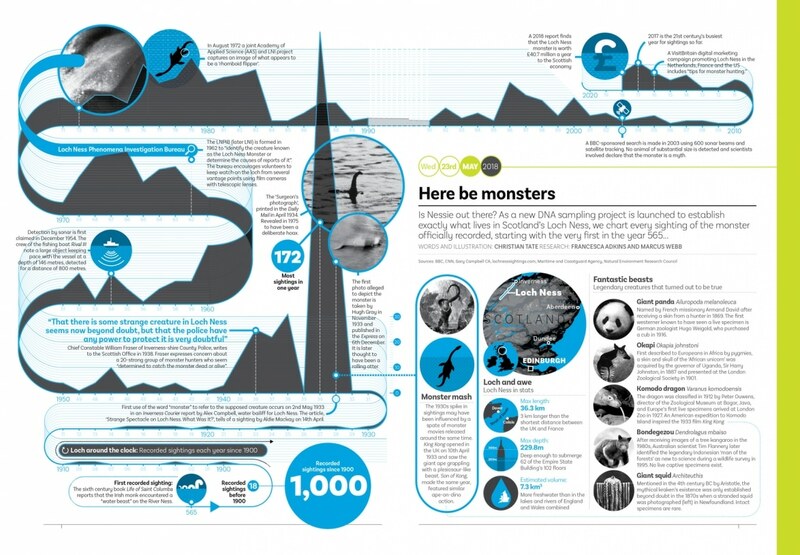 Infographic: Empty Ness Syndrome – all recorded sightings of the Loch Ness Monster from Delayed Gratification, the Slow Journalism magazine. On 7th June 2018 scientists from the University of Otago in Dunedin, New Zealand, and Scotland’s University of the Highlands and Islands launched a joint project to confirm the identities of invasive aquatic species reported to have been populating Loch Ness. The non-native organisms they hoped to find among DNA samples taken from the water included Pacific pink salmon and – it was widely reported at the time – the Loch Ness Monster.